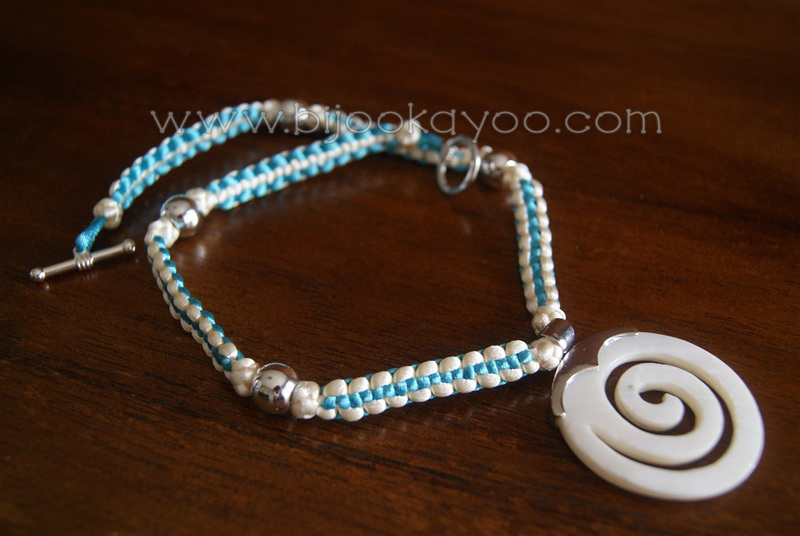 With this necklace, I wanted to keep a ‘sea’ style and thus chose a mix of turquoise and ivory cords. I really enjoyed the flat macramé chain; it reminded me of marine cords. And the mix of two colors make it possible to choose a chain mainly turquoise with a touch of ivory or the other way around. You can even mix colors as each part of flat macramé can be flipped individually. So much funny possibilities for a simple summery necklace. 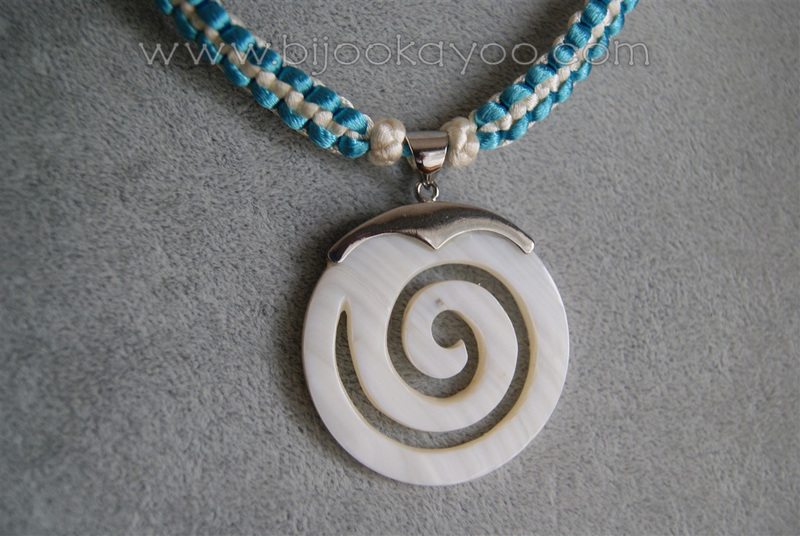 This necklace is made of two 2mm satin cords, a turquoise one and an ivory one, and a spiral-shaped natural shell pendant. 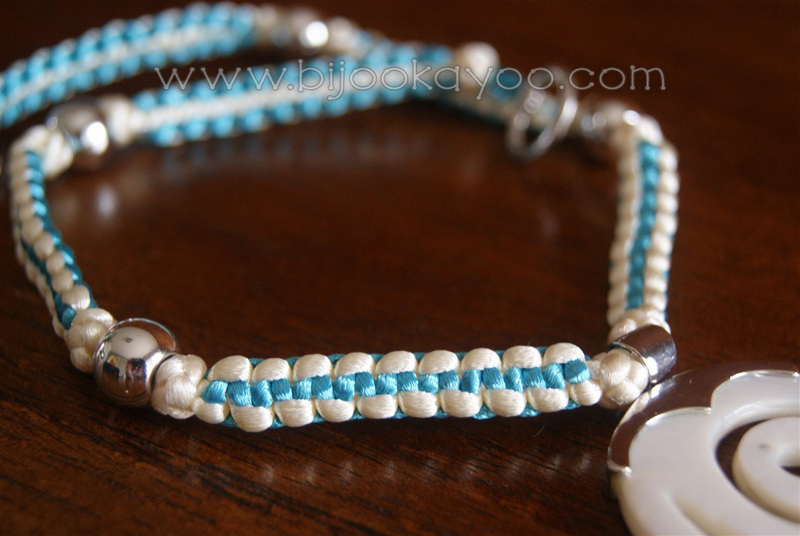 It’s chain is made of a flat macramé pattern mixed with Button knots and silver plated beads. The flat macramé pattern made with 2 cords of different colors allows you to change the necklace style as it pleases you. 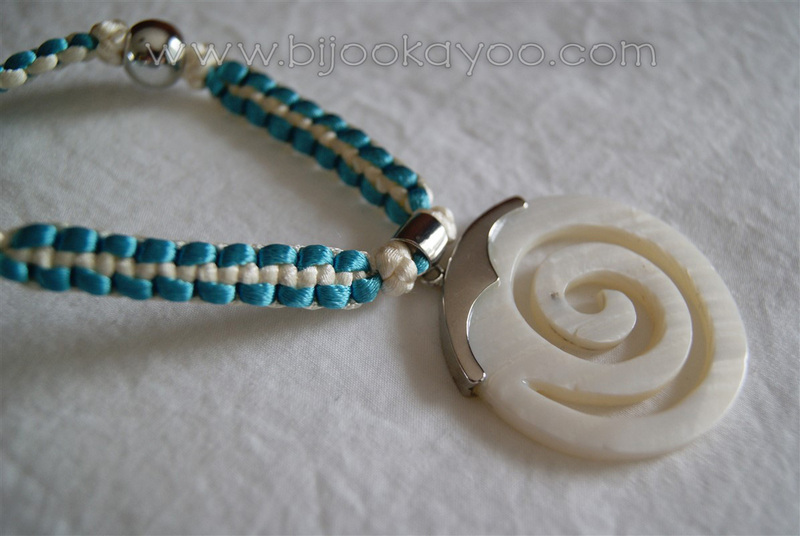 You can wear it with a mainly turquoise chain or with a mainly ivory one. You can even alternate the main color between two beads, if you’d like to. 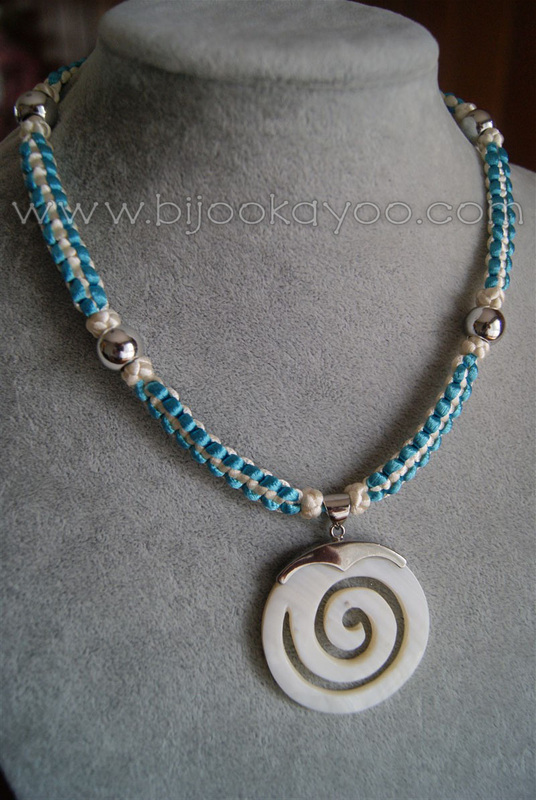 Posted in NecklacesTagged bead, button, cord, flat, knot, macrame, metal, natural, necklace, pendant, plated, satin, shell, silver, spiralBookmark the permalink.